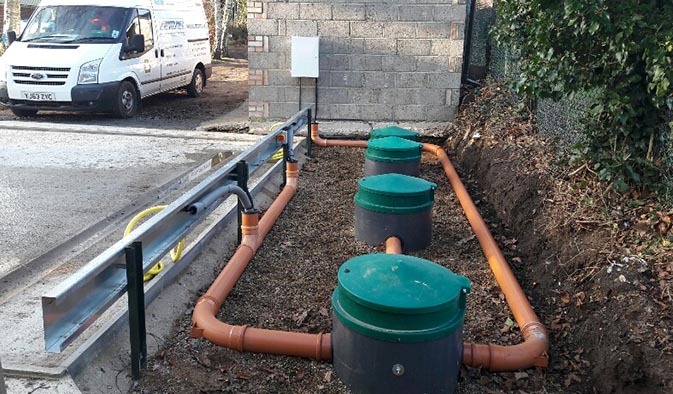 Our self-install package is economical and suitable for clients who wish to install the water recycling system themselves. If you decide to purchase this package, we will arrange delivery of the complete system with comprehensive Installation Instructions at a convenient time. Once the system has been installed, Acumen will then commission the works on your behalf. If you would like additional information on the self-install package, please watch the video and complete our enquiry form – link to enquiry form. A wash pad (suitable for general golf machinery) is to be a “dedicated one” and ideally a minimum 150mm compacted roadstone with 150mm concrete laid on top and a 1 in 100 slope to back edge and the grass trap corner. Please ensure that the required size is agreed with the client (5 mtrs wide x 4 mtrs is the minimum possible but larger sizes are usually selected). 200mm of roadstone and 200mm concrete and possibly reinforcing steel should be used for much heavier vehicles. Should a washpad 8 mtrs or more wide be envisaged, we’d recommend a grass trap in each corner. The washpad should have a low curb all around (higher on three sides and lower on front for access) to retain all water and meet the “dedicated” criteria. Grass Trap/s to be set into washpad at one corner (or both if two ordered) and also a discharge channel (10” x 5” Travis Perkins code 805280) as shown on plan and the 2 x 4” outlets to be connected into 1 x 6” pipe to the tank inlet. 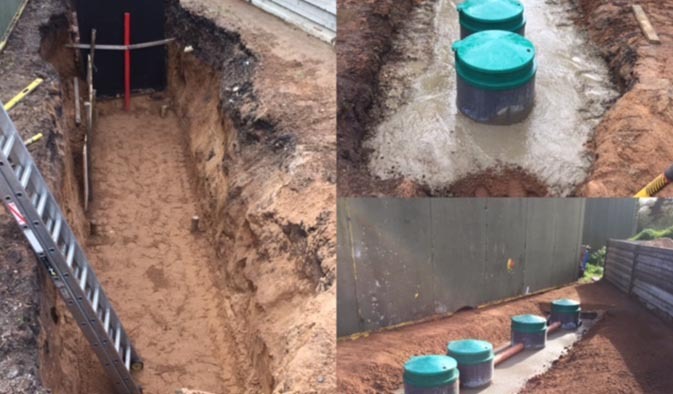 The standard 5000 litre system tank will require a 6 mtr x 1.5 mtr x 1.5 mtr trench excavating. 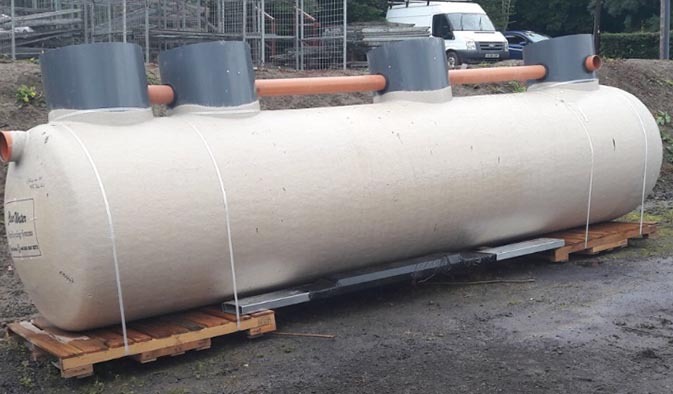 The tank will be delivered direct to site by HIAB and off-loaded for you. 2 x 4” runs of normal drainpipe to be laid each side of the tank with a few bends and upturns to the back of the pad. These to be pre-roped so we can pull service cables, airlines, water hose through when commissioning. Tank is placed on a wet concrete mix in trench base and then dry-mix concrete around tank to hold in place. Build suitable soakaway from emergency overflow**: normally 2 x 2 x 2 mtrs with roadstone fill unless conditions dictate otherwise. If a suitable drain is available, a connection may be made to this however. Erect crash barrier and ensure the upturned 4” drain outlets are in line with the barrier posts (makes hose and switch mountings easier and more unobtrusive). Supply a post or wall-mounted electric box (see attached spec sheet) adjacent to the system and as near to the single last turret as possible. This must be live when we attend to commission. (see schematic diagram attached).